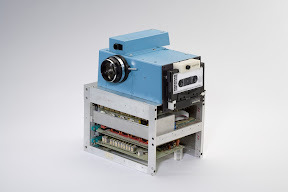 What you have here, is the first ever digital camera. In this blog post over at Kodak, Steve Sasson, the inventor of the digital camera, gives some detail into a phenomena that is so omni-present today. Built off parts from a Super 8 movie camera, along with a nascent CCD imaging array, the camera used a digital cassette to store the images. It took 23 seconds to complete write the recorded image to the cassette. Thank God for solid state memory eh? There you go. 1975. First digital camera. And a paltry 0.01 megapixels. When it comes to nuclear technology, I guess I never stopped to think about all the testing that actually goes into one. I knew about all the insane nuclear weapon stockpile numbers from the cold war, but never realized that there were almost as many tested. 2053, over the period from 1945 to 1998. Including the two that were actually used in war. Maybe it is time to be thankful for the fact that the others were merely tests. Or scared dry that there is a lot more where the first two came from. The video below is a visualization, as part of an art project by Isao Hashimoto, and really brings the message home. And here is a link to Google Maps, showing the craters in one of the test ranges in Nevada. Another one from Wikimapia. Scary. Via Discover Magazine. Including a spirited discussion in the comments over there. Surviving the World is a different sort of webcomic - a photocomic. Thanks almost solely to StumbleUpon, and its insistence on classifying the comic's contents as pictures, I began to stumble into doses of knowledge along with other photographs. Very soon be became one of those sites you stumble into, but never stumble out of. Surviving the World (STW) offers up a form of wisdom, that is simultaneously tongue-in-cheek and profound. While the topics are varied, spanning everything from current events to philosophical gems, the treatment is typically pithy, accompanied by a supporting mugshot of the "Head Professor", Dante J.T. Shepherd. Surviving the World, is a photocomic, in which Dante writes the content of the comic on a blackboard, and photographs it, with him standing in a corner of a frame providing contextual symbolism. The text on the blackboard is the star, with him in the supporting role. And that is all every comic has. Writing on a board and pose from the author. Does that make it a comic, you might wonder. And the author addressed it, head on as part of one of his posts. I guess I do buy into the argument. Hence this post. Each comic is a lesson; a lesson to, as the name of the comic suggests, surviving the world. The initial posts were pithy commentary on the world. Over time, Dante has moved on to tackle other real-world topics. With over 746 lessons and counting, there are more than enough topics to go around. Here are a few lessons to get you started. How to creep people out. Understanding hyperbole. Understanding Armageddon. Understanding Germaphobes. Understanding the perfect murder. And finally, understanding alternate universes. 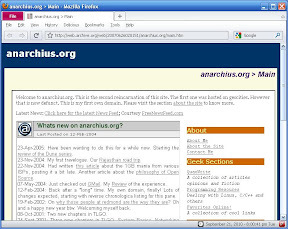 Web 2.0 has adopted its own distinctive style for interface elements, dominated by those three dimensional, reflective buttons. Using GIMP, it is easy to create those buttons. This is the first of two ways to do it - a relatively simple method. I will post a slightly more involved method later. Bug is a funny cartoon strip. There are many comics out there, that follow the traditional joke route - set-up, build tension, and close with punchline. None do it as eloquently as the Bug Comic. The comic strip is always four panels wide, with the first panel typically reserved for just the setup text. Bug characters, cute but nameless, populate the other three. And yes, the bug is indeed cute, with a white underbelly and black backs. The characters wear glasses, ties, dress up as Santa, and are anywhere between polite, rude, snarky and fun. The best bugs are, of course, the baby bugs, with their unnaturally large heads and a perennially off balance pose. The strip is not terribly topical and the subjects do not suffer from excessive nerdy-ness. This makes them very accessible. A frequently used format is a "Dear somebody" letter. With the opinionated bug occupying the setup and punchline hunched over a paper, and the middle panels containing the build up. The strips of triathlon organizers, mr. president and mr. flipped collar follow this format. There are other funny strips featuring zombies, love stories, aliens, midget ninjas and of course, this guy. 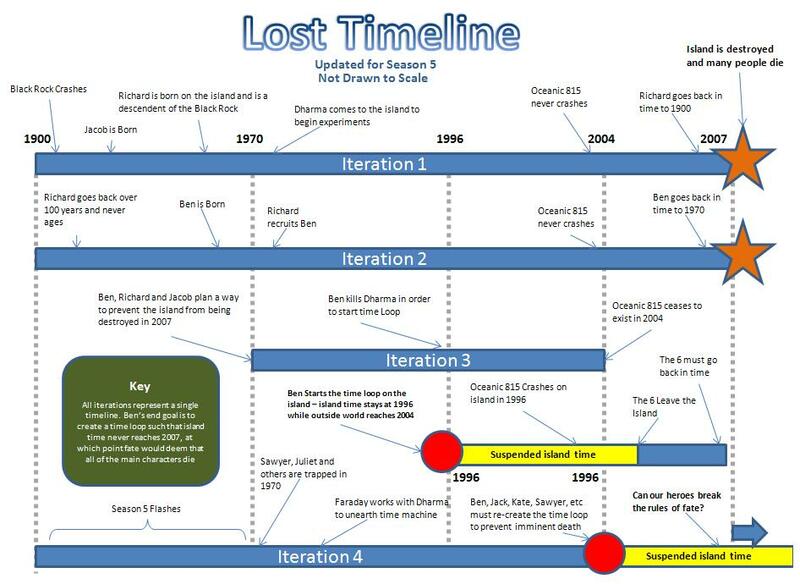 Written by Adam Huber, the comic has an interesting history. Turns out, Adam had the idea for bugs back in high school, but it wasn't until the reemergence of the pest much later in life that it finally took shape as a webcomic. That definitely sounds like a bug to me. The comic hasn't been around for long, but even with a daily posting schedule Adam has been successful in retaining its freshness. One of the great things about this being a short comic is that you do not have to a story arc to worry about. Which is where the random button comes in handy. Or you could just read them one after the other from the archives. The world wide web, has been one of the biggest success stories of the Internet. So much so that the two are often used synonymously. While the world wide web spawned and initially grew with the Internet, the predominant trend in recent times has been an implicit demotion of the web, in favor of the Internet. In hindsight, it seems obvious the success of the Internet would bring with it the seeds for the destruction of the world wide web. The terms first. How is the Internet different from the world wide web or WWW? The Internet is the means to connect all of the world's computing devices together, while the WWW is that part of the Internet you access with your web-browser. The world wide web includes every website you visit, in all of its textual glory sprinkled with the innocuous yet wondrous invention - hyperlinks. The evolution of text to hypertext is perhaps the single most powerful inventions in modern times. With the ability to embed links in text, suddenly it was possible to organize and access information in ways unheard of. A single link was all that separated any two pieces of knowledge. In fact, the two pieces of knowledge did not even have to reside on the same physical machine - as long as there was a means to connect two or more computers together, hypertext would allow anyone to access the information. With such power in the hyperlink, it was a shame not to pursue the goal of connecting all of the world's information stores together, allowing one to link to and access all the information from anywhere. Hence the Internet. The success of the Internet beyond the initial goal of hyperlink oblivion, was its flexibility. Now that we had all these computers linked together, it was possible to exchange a lot more than just text through hyperlinks. And one did not have to limit the end points to computers. Instead you could connect PDAs, phones, music players or even refrigerators. Initially the Internet was constrained - by lack of bandwidth. Exchanging anything more than text was painful. With the increase in bandwidth, communication was no longer limited to text. First it was images, then music. The increase in capacity contributed directly to increasing links between text and other multimedia. But this was still the days when downloading a picture meant waiting for it to arrive line-by-line across a phone line. Even at this point, the principal means of getting to that picture or mp3 was via the world wide web, using your browser. As long as the multimedia was being linked to, the WWW was still the best way to get to it. Thanks partly to the dot-com boom, there was a massive investment in opening up the capacity for communication across the Internet. This explosive growth in bandwidth, along with retail broadband communication, came the next era of accessing multimedia - streaming it instead of linking to it. 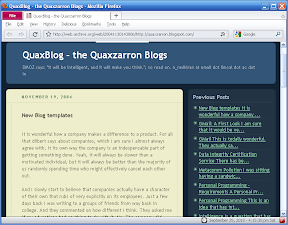 As the Internet grew into real-time capability, it was suddenly possible to cut out the middle man - WWW. Hypertext that began with the humble idea of linking information, had grown to assume the role of carrying multimedia to compensate for the lack of speed of the Internet, was suddenly irrelevant. It was now possible to go around the constraints and freedoms of hypertext. But there was still the need to have something to receive the streaming media - enter web applications or apps. It is no accident that the era of the apps coincided with the growth in streaming capabilities of the Internet. Apps demand cheap bandwidth. Unlike the robustness of the WWW, apps are built around user experience. And unlike the WWW, apps allow end-to-end control. Doesn't matter if the app was built on the iPhone or popped off a browser, effectively it isolates user experience away from flexibility of the WWW to the immersive capability of the app. The data is firmly pointing in the same direction. 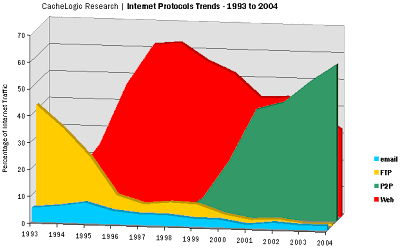 The above is a dated graph courtesy UC Berkeley, but showing the relative drop in bandwidth used by the web as compared to the other protocols. Updated data is available with the Wired article here. Notwithstanding very pertinent arguments to the contrary, the definitive move away from the broad set-up called WWW, into the narrower app-based is an eventuality. Something directly precipitated by the success of the Internet. And it doesn't refer to a weekend feeding frenzy. Instead it is a short webcomic, that is funny and to the point, without a cast of characters, no intricate plot and artwork that reminds you of doodles you made in middle school. And yet, there is something enjoyable about each post. There is something intelligent and topical about the posts. And through the artwork, the characters seem to easily communicate with the reader. With a large volume of comics (the comic has been active since 2002), a large friendly “RANDOM” button and the fact that each page scrolls up to the comic (instead of making you scroll from the banner) make it one of the more inviting webcomics out there. After the break, a few fun ones to get you going. 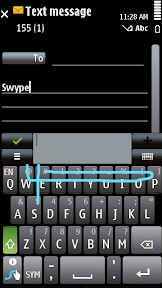 Nokia Beta Labs, has just announced the availability of Swype for the S60 5th Edition phones - including the Nokia 5800. Not that this gets the S60 5th platform in line with Android, or gives me much respite from phone-envy, But it is a pretty darn good step in the right direction. Just installed it on my phone and can confirm that it is indeed working. Swyped my first text message out. What struck me though was the broken UI in trying to download the beta directly onto the phone. Beta labs, on my phone, has a sign-on link that doesn't work. Nokia Ovi, defaulted to a mobile interface that does not have a link to sign-in. The quickest way seemed to be to go to https://account.nokia.com, force a log in and then go onto Beta Labs. Despite the pain to get to it - Swype does work now.